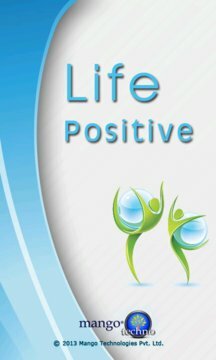 ‘Life Positive’ helps achieving your life goals with good health, fitness and happiness. It helps you to remain optimistic, cherished and maintain a positive mindset while you strive to better your life and those of your friends and family. Our objective was to inspire and motivate you to be more healthy, fit and happy. ★ Health – nutrition, recipes, foods, alcohol, skin and hair care etc. ★ Fitness – cardio, aerobics, workout, yoga and weight loss etc. ★ Happiness – Relax melodies, sleep assistance, quotes, meditation, friends, family and fighting stress etc. ★ Classified news, video, tweets and other info in above categories based on your current location. 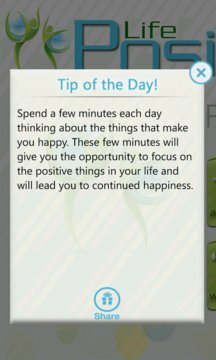 Don't miss an opportunity to make a balanced life style, by the use of this app. Please send your feedback so we can continue to create better experience for you. !